Heavy selling pressure was witnessed in auto, metal, banking, FMCG and realty indices, while IT index is up in today’s trade. 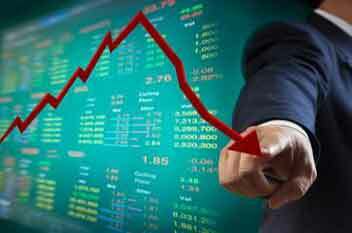 Equity benchmark indices opened in the negative zone on Monday amid weak global cues. Heavy selling pressure was witnessed in auto, metal, banking, FMCG and realty indices, while IT index is up in today’s trade. The Sensex dropped 123 points to 36,422, while the Nifty is down 46 points at 10,896. The market breadth was negative with 469 shares advancing, 1,068 shares declining, and 514 remaining unchanged. Indiabulls HF, and Indiabulls Ventures stock slipped over 3.5% in the early morning trade. In the broader market, BSE MidCap index was trading 136 points lower at 14,192, while BSE SmallCap index was ruling at 13,552, down by 105 points. Tata Steel, Cipla, Tech Mahindra, and TCS are trading higher on the NSE, while Indiabulls HF, M&M, and Dr.Reddy’s are trading lower. Volatility index India VIX was up 2.98% to 16.03. The most active stocks were Tata Steel, Indiabulls HF, Reliance Industries, Sun TV, and Yes Bank. The Indian rupee opened higher by 8 paise at 71.23/$ from its previous close of 71.31/$.